Liverpool will be hoping the Anfield crowd can inspire them to another comeback victory against Villarreal in the second-leg of the semi-finals of the Europa League. 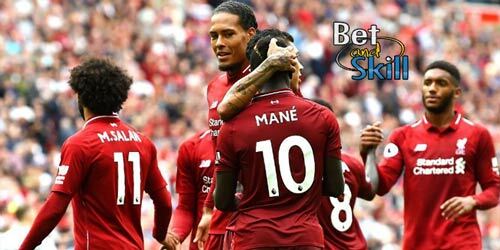 Don't miss our LIVERPOOL v VILLARREAL betting preview with predictions, betting tips, enhanced odds, lineups, bookmakers promotions and no deposit free bets on the 2nd leg tie! The Reds need to overcome a one-goal deficit as Adrian Lopez’s last-gasp winner in Spain a week ago has given Villarreal hold the advantage having beaten Liverpool 1-0 in the first leg. Klopp's men must now win this return meeting by two clear goals, while a 1-0 victory would be enough to at least take the match into extra time. They are on a run of back-to-back defeats having warmed up for the game with a poor 3-1 defeat to Swansea on Sunday. Liverpool have produced some of the greatest European nights in history over the years when they beat Borussia Dortmund 4-3 despite they found themselves needing three goals in the last half-hour. Jurgen Klopp's biggest decision surrounds Daniel Sturridge who was an unused substitute again in the first leg. He is expected to be overlooked once again as Roberto Firmino is likely to lead the line. Emre Can has handed Liverpool a surprise boost ahead of the second-leg and he has a chance of making the squad. Mamadou Sakho is still suspended pending Uefa's investigation into a failed drugs test while the likes of Jordan Henderson, Divock Origi, Danny Ings and Joe Gomez all remain sidelined. Villarreal’s 1-0 first leg victory in El Madrigal last week not only put them in a position whereby an away goal will probably kill this tie off, it also marked the occasion of their 12th game unbeaten in the Europa League (W9, D3). Despite a much changed formation, Villarreal secured an impressive 2-0 win over Valencia at the Mestalla last weekend. Anyway, they have a poor away record in La Liga – six wins, six draws and six defeats. Away from Estadio El Madrigal, they have won just two of their six Europa games. The Yellow Submarines have almost a fully fit squad to choose from. Marcelino made 10 changes for his side's match at Valencia and he is likely to recall his regular starters. The likes of Bruno Soriano, Mario Gaspar and Sergio Asenjo should be among a whole host of players to return after being rested at the weekend. Eric Bailly will sit out in this game as he hasn’t recovered from the knock he picked up in the first leg. While the 23-year old striker Leo Baptistao is sidelined through a groin injury. BTTS Boost! Get 8/1 both teams to score at Boylesports! 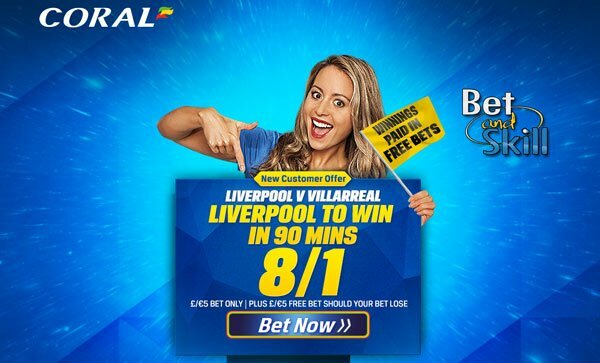 Price Boost - 8/1 Liverpool to win in 90 minutes + £5 free bet! Crazy price - 11/1 Liverpool to qualify + £5 free! Enhanced odds - 7/1 Liverpool to knock out Villarreal! Liverpool boost! 7/1 to reach the Europa League final + £100 bonus! "Liverpool v Villarreal predictions, betting tips, odds and lineups (Europa League - 2nd leg - 5.5.2016)"